The publishing and information world continues to bring new challenges and new opportunities. At this conference, we’ll fine-tune our indexing practices, grow our business skills, offer our support and encouragement to newcomers, and pick the brains of those who have experience. 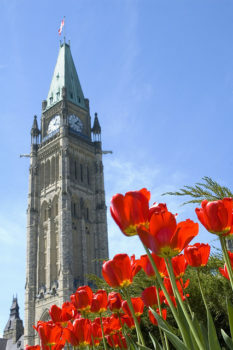 Ottawa is more than the political centre of Canada. It’s also home to some of the nation’s most important cultural venues. (Our conference site, which is on the University of Ottawa campus in the city’s centre, is just across the street from the new Ottawa Art Gallery.) The city is very walkable, with pathways on either side of the Rideau Canal. The University of Ottawa is a medium-size campus and east to walk. Conference sessions will be on the top floor of the Desmarais Building (55 Laurier Avenue East). A map will be included in the conference packet. “Names, the Challenge of Indexing“, a full-day workshop with Enid Zafran, has been sold out, but you can be added to the waiting list when you register. Conference rates include continental breakfast (with protein), lunch, and snacks. Early bird rates apply until April 15. There are many other accommodation options in downtown Ottawa, including boutique hotels such as the Byward Blue Inn and ARC the Hotel, B&Bs such as Auberge McGee’s Inn and Auberge des Arts, and chain hotels such as Novotel, Days Inn, Fairmont and others. Airbnbs in Sandy Hill and the Byward Market area are closest, but Downtown and Centretown are also quite close. Even the Glebe neighborhood is only a 30- to 40-minute walk along the Rideau canal, and it will be a beautiful walk at the end of May.